I’m excited to announce there is another Macy’s Culinary Council event this week at Macy’s Downtown Minneapolis! 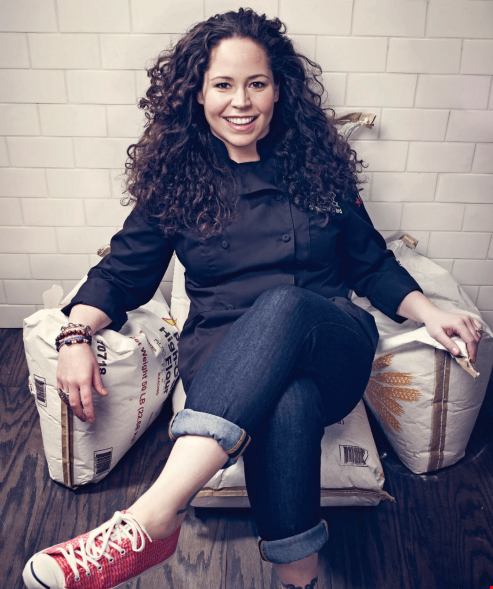 On Friday, 11/18 at noon, you can join Macy’s Culinary Council Chef Stephanie Izard as she shows us how to prepare some of her favorite dishes The best part? There will be plenty of yummy samples to enjoy! A native of Chicago, at a young age Chef Stephanie already had years of experience creating culinary deliciousness at various Chicago restaurants. She took that experience and put it into opening her own first restaurant Scylla at age 27 and now owns both Girl & the Goat and Little Goat. She was also the first woman to win Bravo’s Top Chef! Make sure to take some time to explore the latest in cookware and gadgets for your kitchen while you’re at Macy’s. With any purchase of $35 or more in the home department, you’ll receive a $10 Macy’s gift card, and a copy of Chef Izard’s newest book, which she will sign directly after the event. Seating for this FREE event is limited and on a first come first serve basis. For more information and to RSVP, visit http://bit.ly/IzardFall16.